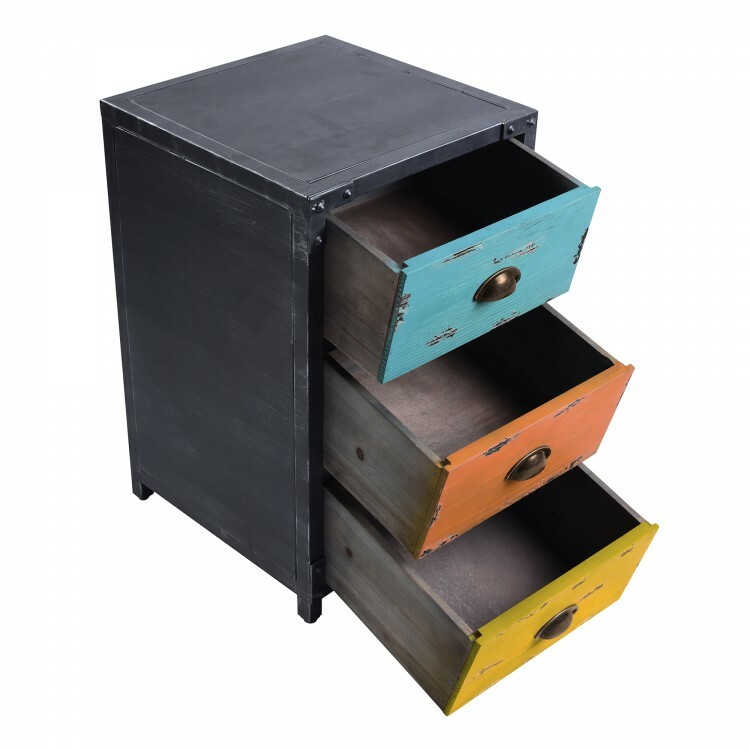 The Armen Living Oskar industrial 3 drawer end table presents a unique aesthetic quality that is certain to enhance the artistic atmosphere of any contemporary household. 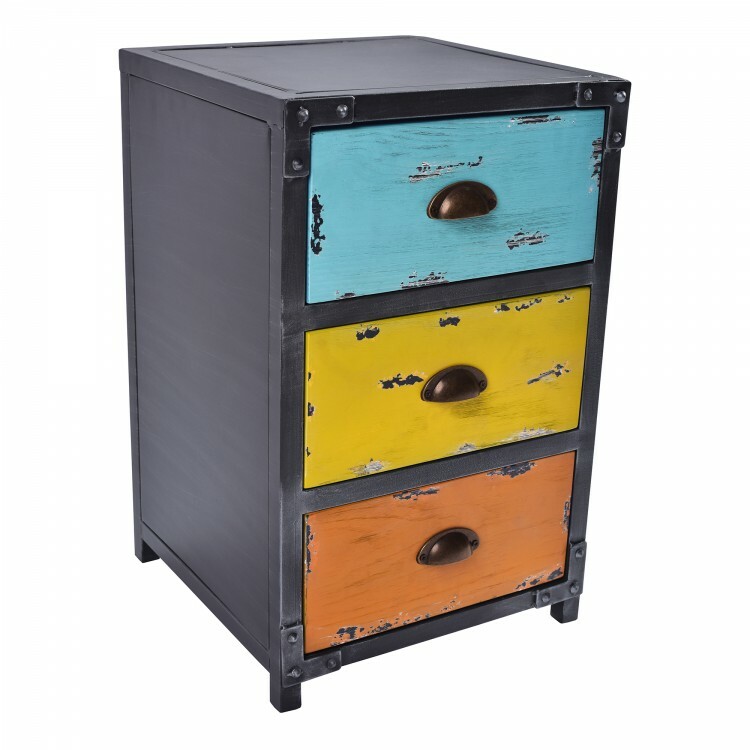 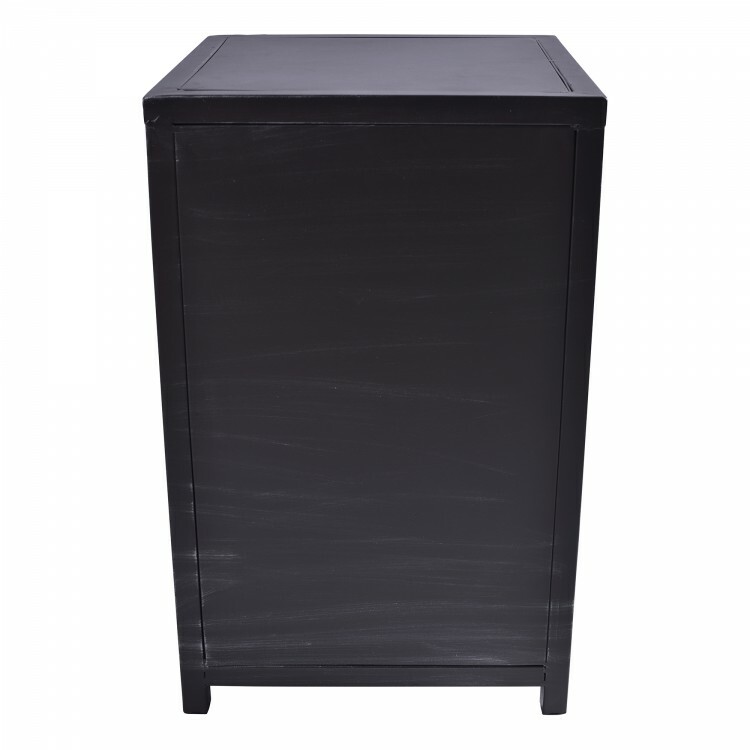 The beautiful Oskar features a durable Industrial Grey finish metal frame and three colorful pine wood drawers. 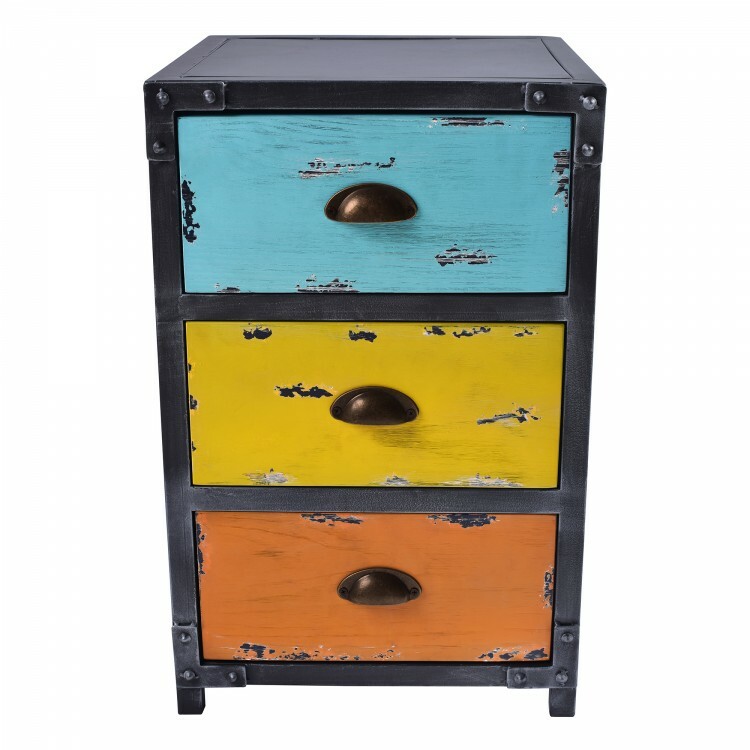 The drawers includes rounded handles for ease of use and are presented in the following colors; blue, yellow, and orange. 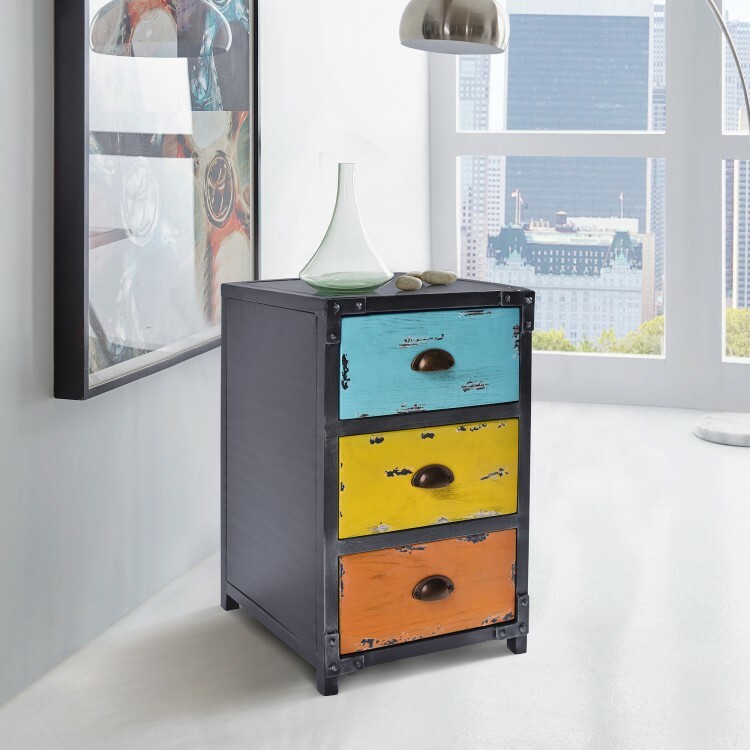 The Oskar’s original colorful appearance gives this end table a truly rustic look without straying too far away from traditional modern design elements. 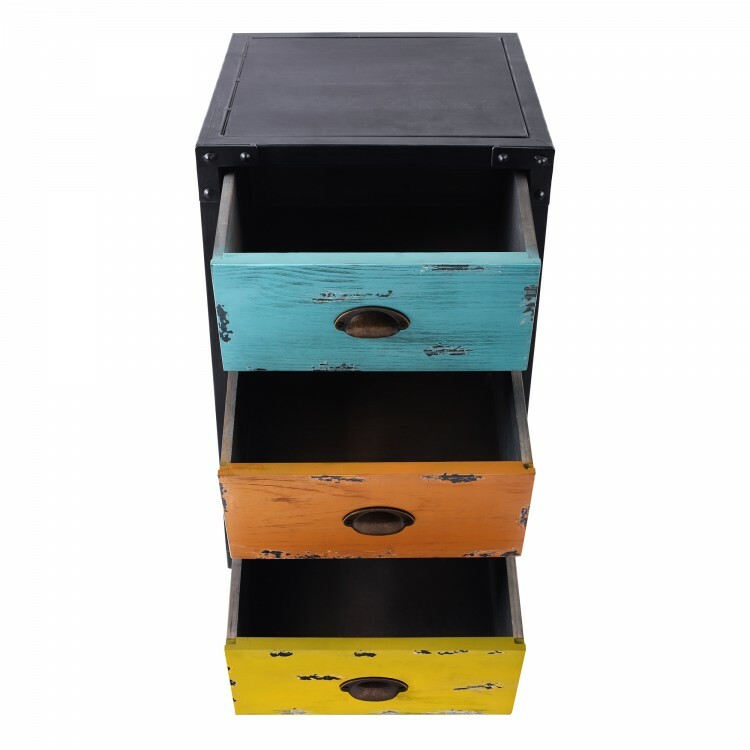 The Oskar’s drawers provide an exceptional amount of storage space, while the end table’s metal exterior allows for the safe placement of hot tea mugs and lamps. 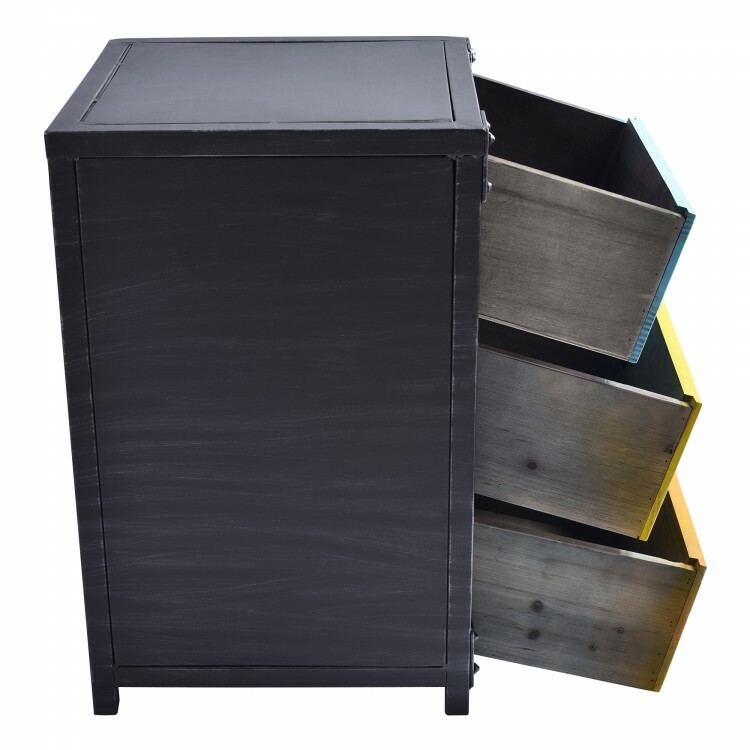 The Oskar is designed for the bedroom, but is practical enough for just about any room of the house. The Oskar end table comes assembled.